I purchased Campaign Cartographer years ago, and have purchased many of the Annuals and add-ons from ProFantasy, yet I have never made the time to actually learn to use the program. I intend to change that. This is a list of tutorials by Joe Sweeney. Unfortunately, YouTube makes it difficult to view these tutorials in order, so I have compiled this list for my own reference. This list is based on a blog post by Mike Summers. Note 1: When you install Campaign Cartographer, right click on CC3Setup.exe and choose Run as administrator (don’t just use an Admin account). 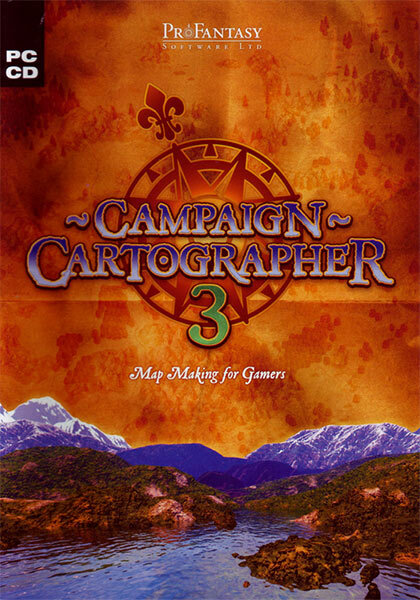 Note 2: Do not install Campaign cartographer under “Program Files” or “Program Files (x86)”. Doing so will make it more difficult to add or modify symbol libraries later. I suggest that you install CC3 under “C:\Profantasy\CC3\”. Aptly named Commerce Minister Craig Foss welcomed the modernisation of the patents law, saying it marked a “significant step towards driving innovation in New Zealand”. Of course, if these steps are ever taken, the USA will be the last to take them. When it comes to sanity with respect to patent, trademark, and copyright, I look toward New Zealand and the European Union to lead the way to a more reasonable future. Short version: Not only is My Movies by Brian Binnerup the only app to receive five stars, it’s the only app to receive more than three stars! This is a quick review of eleven Android apps for keeping track of one’s DVD collection. Here are the things I am looking for. The ability to search by movie title and automatically add the movie to the database, along with all of its relevant metadata (DVD artwork, year it came out, who starred in it, a plot synopsis, and so on). The ability to scan the barcode and automatically add the movie to the database, along with all of its relevant metadata (DVD artwork, year it came out, who starred in it, a plot synopsis, and so on). The ability to scan (or manually search and add) a movie collection once, and have every movie in that collection added to the database, along with a note to the effect of “included in [DVD set name]”. The ability to manually add a movie to the database, along with all of its relevant metadata (DVD artwork, year it came out, who starred in it, a plot synopsis, and so on). The ability to add a note to the movie. In my case, this would often be “filed under [movie name]”, where a particular DVD has multiple movies on it. The ability to search for notes attached to a movie. The ability to access my collection without an internet connection. Cell phone coverage is spotty in central Virginia, and I want to be able to see if I already own a DVD before buying it, even if I am in a dead spot. Here is how I tested them. I typed in “Ultraviolet” and attempted to search for it by its title so that I could automatically add it and its associated metadata (without having to type it all in myself) that way. This is a pretty popular movie, so it shouldn’t be hard for any app to find. Passing this test provides one point. I manually added the film “Dracula’s Dog“, along with the release date, 1978. Passing this test provides one point. Once a movie was in my collection, I added a note to it saying, “Al Leong”. Passing this test and the two below provides one point. I searched for “Al Leong” to see if the app would find the note. Passing this test, the test above, and the test below provides one point. I deleted the “Al Leong” note. Passing this test and the two above provides one point. Each app starts with -1 points, and the total number of points it has after testing is the number of stars it has. For example, an app with three points will be rated two stars. Here are the movie collection apps I tested, and the results. Movie Manager (from Sort It!) 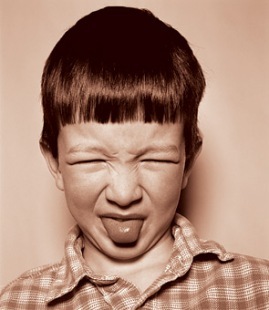 required an inconvenient web site login before I could use the program. That’s really annoying. On the other hand, Sort It! has a number of other collection apps, and the same login works for all of them, so that’s kind of nifty. My Movies by Brian Binnerup required a web site login before I could use the program. That annoys me. However, it does provide a tangible benefit: you can share your movie collection between devices, including Iphones and Windows desktops. The user interface for this CamelDroid app is terrible. The buttons are super-tiny, which makes them hard to see and hard to touch, and they are placed right under or over a much larger banner ad. Not only is My Movies by Brian Binnerup the only app to receive five stars, it’s the only app to receive more than three stars! Frankly, I am surprised how bad most of these apps are: four out of the eleven received no stars at all. My Movies has a “pro” version that costs $5.99. Seeing how much better it is than its competition, that seems like a bargain to me. I just spent too much time pulling my hair out trying to figure out how to get Google Docs to paste spaces and keep them spaces, rather than turning the spaces into tabs. I couldn’t find a way to prevent it, so here is what I did. Paste my text into a text editor, such as Notepad++. In the text editor, find & replace every instance of a space ” ” with a character that does not already exist in the text, nor in the document you intend to paste that text into. In my case, I used a tilde “~”. Copy this modified text, and paste it into Google Docs. In Google Docs, find & replace every instance of the placeholder character with a space ” “. Is it ridiculous that you need to do this to keep Google Docs from corrupting what you are pasting? Yes. Yes, it is. The first item is the one controlling whether the Facebook tab is present or not. If the value is 1, the tab is disconnected, 0 means the tab is connected. If the mentioned item is missing, then you should just add it in front of the two other items. 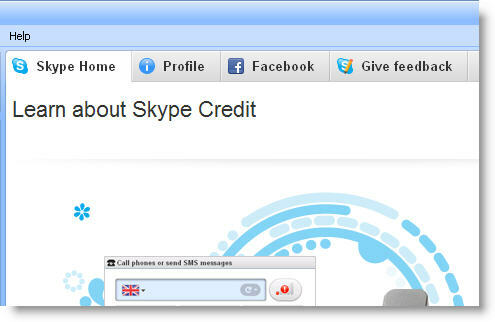 Save the config.xml file and restart Skype. The Facebook tab will no longer be there.